A Solar Cell That Generates 2 KW of Power? Concentrators have been a zero-billion-dollar industry for some time, but optimism is in full bloom these days. Amonix, which makes a concentrating system built around lenses, recently signed PPAs with Southern California Edison for 28.5 megawatts worth of power. Soitec landed a 150-megawatt project. SolFocus is part of a 300-kilowatt plant in Saudi Arabia. 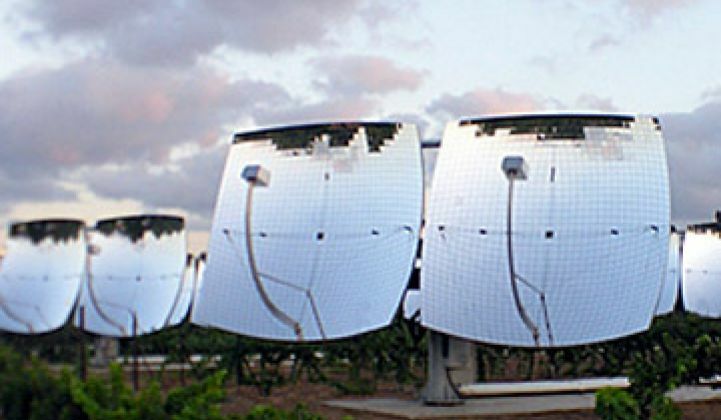 SunPower, which started out in concentrating solar, announced last year that is has developed a concentrator that it will release in the next few years. The CPV renaissance stems from a few factors. For one thing, CPV can help reduce some of the pain the solar industry faces when it comes to the price of passive raw materials. Racking, glass and other non-silicon costs can gobble up a large part of a solar installation budget. 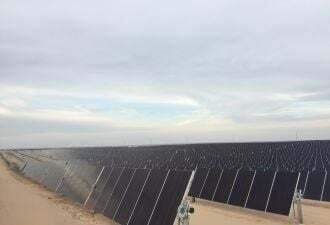 Solar modules account for around 50 percent of the cost of a solar system and about half of that total comes from glass and other module manufacturing costs. Balance-of-system costs can run another 40 percent.